Doubling as a sweet topping and a thickening agent for milkshakes and baked goods, this malted milk powder is a versatile ingredient with great taste! The name "malted milk" goes back as early as the nineteenth century, describing an evaporated mixture of wheat flour, barley flour, and powdered milk. Originally a health food for infants, malted milk gained popularity throughout the decades, becoming a common sweet ingredient that was both light and non-perishable. Though it is now thought of as a classic ingredient, malted milk can make signature beverages that enhance your menu with new, profitable items! This malt powder is the best smelling stuff!!! It has a totally different profile than the malt extract that I normally use for baking. Even though this malt has added ingredients such as salt, corn syrup, flavorings and even baking soda, it is one of the best ingredients that you can have in your cooking and baking arsenal. It works wonders for both sweet and savory foods!! I add it to hamburger and gravies. I mix it with malt extract and add to my bread doughs, giving them that true bakery taste. And of course, it gives your ice cream a tasty twist but I don't think it is the malty flavor many people are looking for in that respect. That said, if you're looking to take your cooking and baking up a notch or 10, this malt powder is for you. We absolutely love that this comes in a convenient two pound bag. It made everything a lot easier for us. I can promise you that you will not be disappointed with this stuff. Great product for the price. it thickens our milkshakes and adds a great flavor the the customers love. Easy reorder and quick shipping as well. The malt is great. We put it in our shakes and it tastes great. We go through a lot of it so the bag size works for us. This milk powder adds delicious flavor to milkshakes. I have also used it when making ice cream, or other drinks. It's a great price and a great buy. Malted milk powder was ok but a lot finer than the brand name do you need to use more for taste. Also, pouches it came in were broken so powder was everywhere. Webstaurant customer service was good about replacing. The best malted milk powder at the best price. We use it in our milkshakes and our customers absolutely love it. Highly recommend especially for milkshakes. No complaints on this product! It smells, tastes, and feels as expected. We use this powder in our milkshakes. It doesn't get requested too often, so it has stayed fresh. I love this malt powder. It mixes into our malts great and gives you the old fashion malt taste you expect from an old fashion drive in. This is the perfect addition to our homemade waffle and pancake batters. It give it that something special that everyone comments on. Will buy again and again! The packaging was very nice. The product worked well in my cupcakes and malts. The powder dissolves nicely, no grainy texture even in cold items. Didn't clump even after a long storage. Liked finding the malted milk powder in this larger package. The price was good for the amount you got, however it was too sweet and lacked the good malted flavor we had with other brands. love, love this stuff our malts taste so much better. my grandkids come over now and the first thing they ask for is a malt. We love this for malts of course, but we also use it to make candies for the holidays. I add it to cream fillings for a simple yet tasty treat. Works terrific and extra can also be used in hot chocolate for something a little different. The malted milk powder is great and is excellent for making our homemade malted milk ball confections. The powder is fresh and sealed tightly in the bags. Great Malt, The taste is good, the customers love it sprinkled over their sundaes and mixed in to their shakes. The price is better than any other place i have searched. I am so glad I tried this product. I also added to pudding for creamier texture and to some of my bread recipes. Will definately purchase more! The malted milk powder is great and make a great ingredient for our chocolate malt bagels. The malt milk powder is delicious and a terrific price. This malted milk powder is a good price for the quantity. It dissolves well without a lot of trouble. The flavor is okay but not exceptional. This malted milk powder is interesting. When i first opened it, the aroma wasn’t like the Carnation malt powder in the stores. Nor was the flavor when tasting a pinch. But it does become more ‘malty’ once put in milk. It is a very fine powder so dissolves easily. It does take more to get the same maltiness as the store-bought powder, but being so much cheaper, it is still more economical! I bought a 2nd bag. This stuff was great. We used it for our Chocolate, Vanilla and Strawberry Malts. I would highly recommend to anyone with an ice-cream or frozen yogurt. Shop. I had no idea how good this malted milk powder would end up being. I have already gone through 1 bag of it and I just reordered a 2nd bag. A great quality malted milk powder that is great for creating old fashioned chocolate malts. The powder is easy to mix in and tastes wonderful. Superb quality bag of malted milk powder that is great for baking. They make a great malted milk cookie pie and the powder is very fluffy. We LOVE this malt powder, and so do our customers. It takes just a few small scoops to deliver that delicious old fashioned malt flavor to any shake! It's a must have if you own an ice cream shop. It is an affordable add-in product that your customers will come back for, and even more importantly tell others! A great quality brand of malted milk powder that comes well packaged. The milk powder is great for creating old fashioned style malt shakes and tastes really good. Blends well. So much cheaper than buying malted milk powder in the store. These have become an essential part in our bagel recipe, they make them light, fluffy, and delicious! Such a good find! This might be a little small for bulk restaurant use (not sure) but it's great for home use! I love putting this in my shakes or mixing it in with my ice cream for an extra kick of flavor! This Malted Milk works great for making malts in our ice cream shop. They do come in a silver bag, so we empty into a reusable container for easy access. Customers are satisfied as well! We have had nothing but compliments on our malts because of this malted milk powder! The product is very good as well as the price. In love with this product! We use it in a little bottle to add malt to our milk shakes! It taste wonderful too! I would definitely recommend. A great malted milk powder that is a great value. A quality product that is perfect for making our malt chocolate pie. 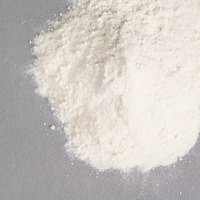 The powder incorporates great and is very light and airy. A great product. This is a fun addition to recipes, giving them an extra bit of zip. It's also a great value. Packages are almost the same cost at retail, for much less powder. Best thing since sliced bread!!! Now I can make my own malted milk shakes at home, just add this to some coco and you have a malted chocolate drink. This was the second order for this and I'm ready to order again. This stuff is great! I'll always have on hand, love milk, chocolate syrup and malt every night before bed, sleep great!!!! I like this malt powder because it adds a richness to milk shakes. It also thickens them. I tell my customers any flavor of milk shake can be a malt and charge a small amt. to add it to their shakes. It pays for itself! We love adding malted milk powder to our milk shakes. It gives them that creamy old fashion flavor that we all love in a milk shake. This malted powder tastes really good. This malted milk powder is absolutely amazing. The price and quality are great and the flavor is awesome. I will be purchasing this item again. Great for making traditional malted milkshakes. Nice decent size, a little messy to use but transferring the powder to another container helps keep things tidy. This product is perfect for my restaurant. I highly recommend this product and will continue to order as needed. The quality of this product is tops. We have strayed away from using powdered milk due to flavor issues. I am so happy this product was purchased. The quality is amazing. I fully recommend! We use the malted milk powder for our various malt shakes. The flavor is good, although not as strong as other brands. For the price, you can't go wrong. Love malted milk, hard to find item in the store. Good addition to protein shakes, ice cream and a nice find in a size that makes several old fashioned recipes that call for it easy to make. great flavor and good quality product. have been using in mixing of malts in our home. always fun to be able to create new and interesting flavor combinations with a consistent delicious flavor addition from the malted milk. We use this for our ice cream part of the business, it's a good quantity and packed well. It's in a can and comes with a scoop for easy mixing. This was purchased specifically for Malted Milk Shakes. The flavor was perfect. Delicious and satisfying. It can be used for baking, but I have not tried any other uses as the Malted Milk Shakes took every ounce in the bag. This malted milk powder is EXCELLENT! We recently added a soft serve section in our small grocery store and malts were at the top of our customers' requests! We tried a liquid malt mix, but, to be honest, it was kinda gross! This powder dissolves quickly and tastes great! I have several recipes that call for malted milk powder that I put off baking due to the high cost of the powder at the grocery store. So glad this is available at a reasonable price. I'll be back baking some of my old favorites. This malted milk powder is reasonably priced, but corn syrup solids are the first ingredient - not malted milk. It requires more powder to achieve a malty flavor. Good product however it must be used quickly because it will clump after a while. As usual great customer service and prompt delivery service. Good value. I've added a spoon or 2 to the waffles we made & it makes a nice flavor change. I also put a heaping spoonful to a 16 oz glass of plain Vitamin D milk with a teaspoon of vanilla & a squirt of liquid sweetener, & it's like melted ice cream.. The flavor is great--just what I expected. I bought this product out of curiosity. I used it in milkshakes. Icing and home recipe. I love the flavor it gives to any dessert. The taste of this takes me back to the ice cream shops of my childhood! The powder has an excellent malt flavor, and mixes smoothly with ice cream. Not a very pleasant flavor or smell! We ended up tossing the whole bag in trash can. I would not recommend this product to anyone. We appreciate your review, Serena! If you are looking for more information on the product you are purchasing, please contact our Customer Solutions team. This product arrived quickly and in good condition. Order on dec 10 and got dec 12, so fast. Use to add flavor to frosting and milkshakes instead of buying name brand mixes. Wonderful malt at a very economical price. The bags make it easy for storage. This malt is a great addition to our milkshakes to make the best malt. As a kid nothing was better than a chocolate malt at the 5 and 10 you know the stores with the lunch counters . Use thee teaspoons of this malt powder a couple of scoops of chocolate ice cream a cup of milk in the blender sit back and dream of the days when things were much simpler. Haven't tried it yet, but I am so impressed with the speed of the shipping as well as the quick response to a problem with a shipment that I had to leave a rating! This staple of the old soda fountain has become tough to find in regular grocery stores. But this is the real deal needed to make REAL malts, yum! Malted Milk Chocolate Milkshakes are a much loved favorite and this Malted Milk Powder is so affordable that it allows us to have our favorite all the time. I really like the taste and consistency to make milkshakes, comes in powder and dissolves very quickly in milk and add only flavor or ice cream. Thank you for your review! We are sorry to hear that this arrived damaged. A Customer Solutions representative will be contacting you about your order. I love this product! As someone mentioned in another review you cannot beat the price. It is easily 5 times more expensive at the grocery store. I also took the advice from Eric and used some in my homemade sausage and what a difference! I bought this to use in my baked goods and have found it to be a wonderful addition to waffles as well. One thing I would like to mention is that Customer Service replaced the bag I was originally sent because it had a hole in it. They had it to me within 2 days no questions asked. I love this website!! This malted milk powder is absolutely fantastic! Compare it to top brands at any store with prices that beat them 5x over! I use this in my malted milk cupcakes and they are heavenly! I love to use malted milk powder for my sweet dough recipe. It really helps enhance the flavor. This 2 lb bag lasts so long too! The flavor is good and my customers are happy. I'm personally a huge fan of the old fashioned chocolate malt shake and this product nails it! It also stores well. This was once again the best deal for the malted milk powder. I use these only for one purpose, and it does not include making milkshakes. Instead I use this to make malted vanilla cookies. AMAZING! The recipe calls for plain malted milk powder, but the sweetened mix works just as well (I just reduce sugar). Malted Milk frosting is one of my most requested frosting flavors. It brings people back to their childhood of getting a malt at the soda shop. This malted milk powder is great in hot cocoa to give it that extra special flavor. It is also quite good in chocolate chip cookie batter. This is really great for mixing into malted shakes. However, it is also a great product for mixing into batters, it gives it a great flavor. This is amazing, I make alot of Chocolate Malts with my frozen yogurt and my customers love it also, the bag last quite awhile also..
My son is a big fan of malted milk ice cream shakes but until now, I could not find a good malt powder. This powder has a great flavor! Love having this on hand! Perfect not only for milkshakes, but for baking too. I used this to copy a malted chocolate cake recipe with toasted marshmallows and it was delicious! I'm currently in the process of finding other fun uses. This product is not only great for making drinks with but also a great "secret" ingredient in making sausages! Sneak a little bit of this malted milk powder in the mix to make a more creamy and delicious sausage!! !